Only 1 SRT Hellcat model left in stock! New vehicle pricing includes all offers and incentives. Tax, Title and Tags not included in vehicle prices shown and must be paid by the purchaser. While great effort is made to ensure the accuracy of the information on this site, errors do occur so please verify information with a customer service rep. This is easily done by calling us at (217) 610-8240 or by visiting us at the dealership. 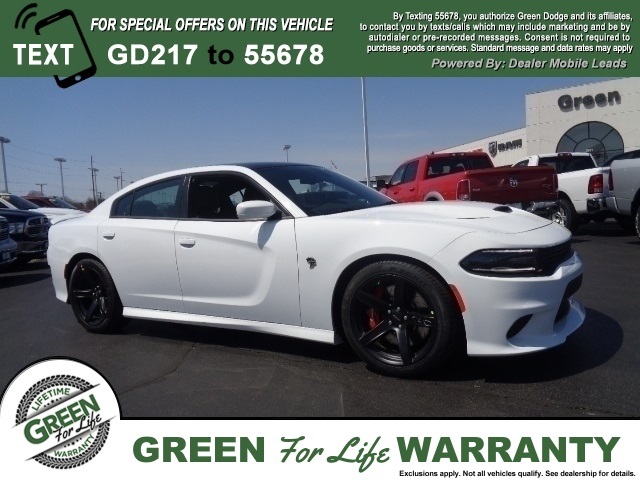 White 2018 Dodge Charger SRT Hellcat RWD 8-Speed Automatic HEMI Black Leather. 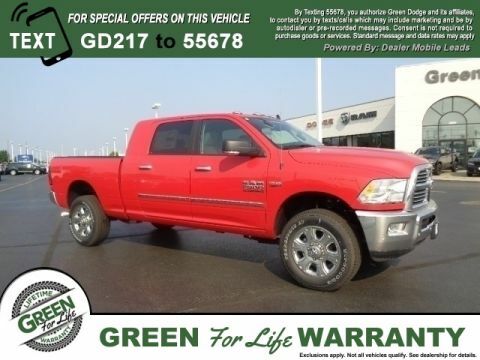 At Green Dodge we strive to achieve one goal, customer satisfaction. We do this by providing quality automobiles at affordable prices while making sure our customers are never left unsatisfied. 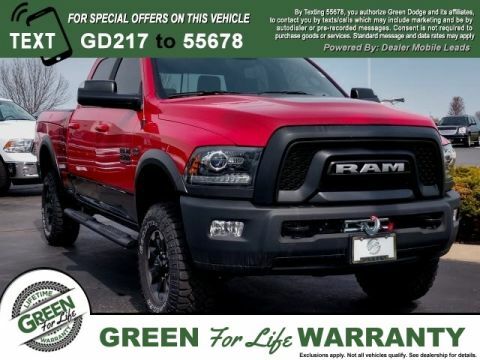 At Green Dodge we have a great staff that will be able to assist you with all of your car buying needs, whether it is locating the right vehicle, obtaining financing, or anything in-between. 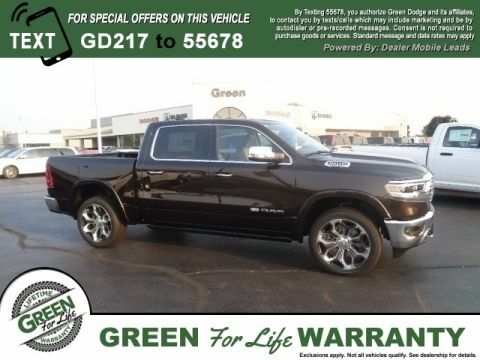 If you happen to be looking for a Dodge or RAM vehicle around Decatur IL, Jacksonville IL, Lincoln IL or Taylorville IL, stop by and we will do whatever we can to get you into the car you have always dreamed of driving. Any questions? Feel free to give us a call at the number above and we will do our best to serve you.